DAYTON, OHIO, April 3, 2018 – Anthem Blue Cross and Blue Shield in Ohio has, for the second time, recognized all Premier Health maternity centers with a Blue Distinction® Center+ for Maternity Care designation as part of the Blue Distinction Specialty Care program. 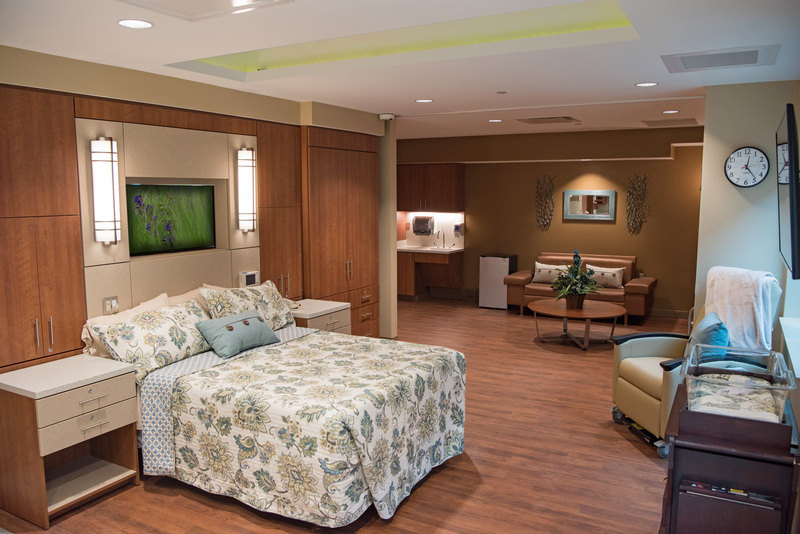 The maternity centers include Atrium Medical Center, Good Samaritan Hospital, Miami Valley Hospital with an additional site at Miami Valley Hospital South, and Upper Valley Medical Center. Blue Distinction Centers are nationally designated hospitals that demonstrate expertise in delivering improved patient safety and better health outcomes based on objective measures that were developed with input from the medical community. Nearly 4 million babies are born in the United States each year, making childbirth the most common cause of hospitalization, and cesarean sections the most common operating room procedures, according to National Centers for Health Statistics and the Agency for Health Care Research & Quality (AHRQ). Reducing early elective delivery is an area of focus for the American College of Obstetricians and Gynecologists (ACOG) and the American Academy of Pediatrics (AAP). According to Health Affairs, elective inductions result in more cesarean deliveries and a longer maternal hospitalization. The Blue Distinction Centers+ for Maternity Care program evaluates hospitals on quality measures for vaginal and cesarean deliveries. To receive a Blue Distinction Centers+ for Maternity Care designation, a hospital must also demonstrate cost-efficiency. Blue Cross and Blue Shield (BCBS) companies across the nation have recognized more than 1,000 hospitals as Blue Distinction Centers+ for Maternity Care. Hospitals recognized with this designation are assessed using a combination of quality information supplied by hospitals and cost measures derived from BCBS companies’ medical claims. Since 2006, the Blue Distinction Specialty Care program has helped patients find quality specialty care in the areas of bariatric surgery, cancer care, cardiac care, maternity care, knee and hip replacements, spine surgery, and transplants, while encouraging health care professionals to improve the care they deliver. Research shows that, compared to other hospitals, those designated as Blue Distinction Centers demonstrate better quality and improved outcomes for patients. On average, Blue Distinction Centers+ are also 20 percent more cost-efficient than non-Blue Distinction Center+ designated hospitals. PICTURED: The Natural Beginnings Birth Center at Atrium Medical Center in Middletown. Based in Dayton, Ohio, Premier Health (www.premierhealth.com) has a mission to improve the health of the communities it serves. The health system operates four hospitals: Miami Valley Hospital with an additional site at Miami Valley Hospital South; Good Samaritan Hospital; Atrium Medical Center; and Upper Valley Medical Center. In addition, the health system offers a large primary and specialty care network, along with home health services. The health system is the second largest employer in the region and is the largest health-care system in Southwest Ohio.